China Gezhouaba Group Company (CGGC) has officially started construction work on the Kandadji hydroelectric dam on the Niger River. Located in southwestern Niger, it will provide 130 MW. 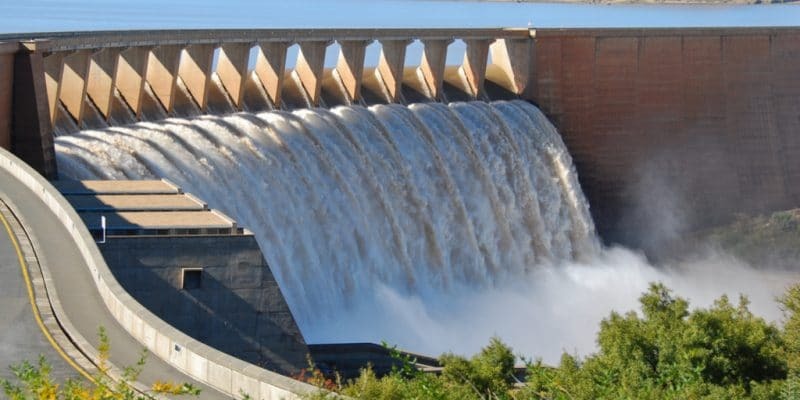 The construction phase of the Kandadji hydroelectric project has just been launched in southwestern Niger. The official launching ceremony was presided over by the President of the Republic of Niger, Mahamadou Issoufou, in the presence of Marie-Laure Akin-Olugbadeles, Managing Director for West Africa of the African Development Bank (AfDB) and representatives of China Gezhouaba Group Company (CGGC), the company selected to build the dam. “It is not only a question of producing electricity, but also of regenerating the river’s ecosystem, while creating the conditions for local development. The work also concerns environmental protection with the displacement and resettlement of populations. What is important here is the growth and development focus in the implementation of the Kandadji programme,” said Mahamadou Issoufou. It should be noted that this project will displace 50,000 people from 24 villages. The ecosystem of a large population of hippos and manatees will also be disrupted as these mammals are displaced. The President of the Republic of Niger has been personally following this project since the eviction of the Russian company Zarubezhvodstroy (which had proved unable to carry out the project, editor’s note) and the choice to call on CGGC. In August 2018, the Nigerian president met with Zheng Zufei, the director of CGGC, to ensure that the Chinese company can deliver the project in 2020. Through this project, Niger intends to increase its electricity supply by an additional 130 MW. The Kandadji hydroelectric dam is built on the Niger River, 150 km from Niamey, the country’s capital. The project is led by the High Commission for the Development of the Niger Valley (an agency attached to the services of the Prime Ministry, Ndlr), as part of the Kandadji Programme, for the regeneration of ecosystems and the development of the Niger River, which flows through several localities in this West African country. The height of this dam will be 280 m, for a length of 8,780 m. Its reservoir will cover an area of 282 hectares. Much of the water from the dam will be used to run the four turbines of the power plant below. The dam will also be used to irrigate fields and strengthen Niamey’s drinking water supply. According to the AfDB, the main donor of the project, the project will increase access to water for agricultural development and thus improve food security and living conditions for the population, through the development of a potential irrigable land area of some 45,000 hectares. The Kandadji hydroelectric project is also supported by the World Bank, the Islamic Development Bank (IDB) and the French Development Agency (AFD). Together with the Government of Niger, these financial institutions will mobilise a total of €130 million for the implementation of the project.